SACRAMENTO, Calif. /California Newswire/ — Calif. Governor Edmund G. Brown Jr. on Wednesday this week announced the following appointments: First, Alicia Fowler, 49, of Sacramento, has been appointed deputy secretary and general counsel at the California State Transportation Agency. Fowler has served as senior assistant attorney general at the California Department of Justice, Office of the Attorney General since 2008, where she was supervising deputy attorney general from 2001 to 2008 and deputy attorney general from 1994 to 1998. She served as staff counsel at the California Trade and Commerce Agency from 1998 to 2001 and was an associate at Orrick, Herrington and Sutcliffe from 1991 to 1994. This position does not require Senate confirmation and the compensation is $151,524. Fowler is a Republican. Saul Rangel, 53, of Folsom, has been appointed inspector general at the California Military Department. Rangel has served as supervisory human resources specialist at the California Army National Guard since 2014, where he has served in several positions since 1979, including joint logistics officer and logistics officer. He has served in the California State Military Reserve since 2013. Rangel earned a Master of Strategic Studies degree from the U.S. Army War College. This position requires Senate notification and the compensation is $131,428.80. Rangel is a Republican. James Earp, 62, of Roseville, has been reappointed to the California Transportation Commission, where he has served since 2011. Earp has been executive director at the California Alliance for Jobs since 1998. He held several positions for the Operating Engineers Local Union No. 3 from 1976 to 1998, including director of government affairs and public relations. Earp has been a member of the Transportation California Board of Directors since 1995. This position requires Senate confirmation and the compensation is $100 per diem. Earp is a Democrat. Carl Guardino, 53, of Monte Sereno, has been reappointed to the California Transportation Commission, where he has served since 2007. Guardino has been president and chief executive officer at the Silicon Valley Leadership Group since 1997, where he was vice president from 1991 to 1995. 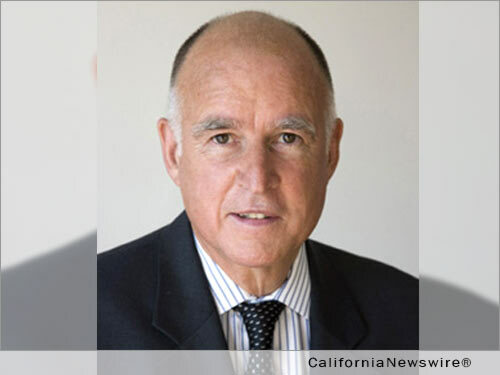 He was director of government affairs at Hewlett-Packard Company from 1995 to 1997 and district director in the Office of California State Assemblymember Rusty Areias from 1984 to 1990. This position requires Senate confirmation and the compensation is $100 per diem. Guardino is a Democrat. James Madaffer, 55, of San Diego has been reappointed to the California Transportation Commission, where he has served since 2014. Madaffer has been president of Madaffer Enterprises Inc. since 2009. He was publisher of four community newspapers at Mission Publishing Group from 1995 to 2014, a member of the San Diego City Council from 2000 to 2008, chief of staff to San Diego City Council member Judy McCarty from 1993 to 2000, owner of JVM and Associates from 1988 to 1993 and general manager at the Delta Coast Corporation from 1981 to 1988. Madaffer is a member of the Lambda Alpha International, San Diego Chapter, Boy Scouts of America, San Diego-Imperial Council Board of Directors and the Aircraft Owners and Pilots Association. This position requires Senate confirmation and the compensation is $100 per diem. Madaffer is registered without party preference. Van Gordon Sauter, 79, of Los Angeles, has been appointed to the California State Athletic Commission. Sauter is former president of CBS News and Fox News. He began his career producing television commercials for a large advertising agency in New York City and later entered journalism. He worked as a newspaper reporter in New Bedford, Detroit and Chicago, Illinois, reporting on Vietnam, civil rights and urban violence. Sauter was also a television anchorman in Chicago, Illinois and CBS News bureau chief in Paris, France. He is the author of three non-fiction books, including the recently published coffee table book, “The Sun Valley Story,” an anecdotal history of the nation’s premiere heritage ski resort. Sauter is a former chairman of the California State Athletic Commission. He earned a Master of Arts degree in journalism from the University of Missouri. This position requires Senate confirmation and the compensation is $100 per diem. Sauter is registered without party preference. Vernon B. Williams, 47, of Los Angeles, has been appointed to the California State Athletic Commission. Williams has been chief medical officer at the Sports Concussion Institute since 2007, where he was director of the pain management clinic from 2005 to 2007, and has been director of pain management at the Kerlan-Jobe Orthopaedic Clinic since 1997. He was medical director at HealthSouth Physical Therapy from 1999 to 2005 and an investigator and staff clinician at Innovative Medical Research Inc. from 1994 to 1997. Williams was director of medical student core neurology curriculum at the University of Maryland Medical Center Department of Neurology from 1995 to 1996. He is chair of the American Academy of Neurology’s Sport Neurology Section and is a founding director of the Center for Sports Neurology and Pain Medicine’s Sports Neurology Fellowship at the Kerlan-Jobe Orthopaedic Clinic, where he is a founding director of the Center for Sports Neurology and chief compliance officer of the Compliance Committee. Williams earned a Doctor of Medicine degree from the University of Michigan Medical School. This position requires Senate confirmation and the compensation is $100 per diem. Williams is a Democrat.